Guided Walk of Sears Island with Tom Seymour – Maine. Ocean. Camping. Good news always has a way of floating to the top…and it happened again this morning. I’m proud to think of author, musician, naturalist and all around great guy, Tom Seymour as a friend. He’s written a dozen books on fishing, hiking, exploring and life in Maine. 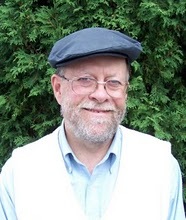 He has lectured all over New England and the Maritimes…and writes a wonderful blog. Tom has graciously agreed to take guests from Searsport Shores on a guided tour of Sears Island. I so much hope I remember, and join this tour! Naturalists in nature are amazing people. Like human interpreters speaking in our tongue what Nature is otherwise too subtle or shy to tell us plainly.